Yet, despite Christ’s words and example, Christians have frequently ignored or forgotten his teaching. In these pages, Sinclair B. Ferguson reminds us of its importance. 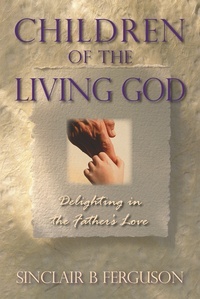 Children of the Living God takes as its starting point the wise and thought-provoking question of an old writer: ‘If the love of a father will not make a child delight in him, what will?’ It underlines that we were created for joyful fellowship with God, and explains how we enter his family by new birth and adoption. Its chapters show how the Spirit of sonship, Christian freedom, divine discipline, prayer, and the sacraments all contribute to our experience of the love the Father has for his children.